Over time, computers slow down. 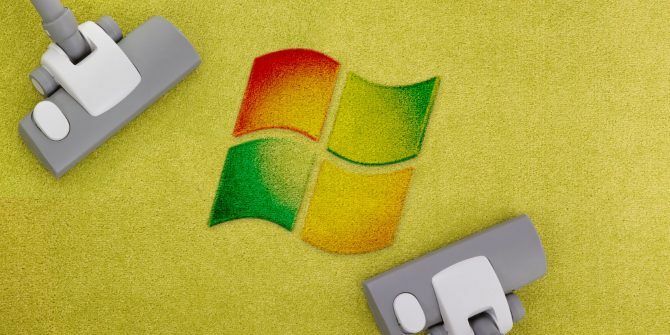 Of course aging hardware plays a part, but for most people, a more common cause is poor operating system maintenance 7 Windows Maintenance Mistakes You Should Never Make 7 Windows Maintenance Mistakes You Should Never Make If you want to keep your Windows PC running smoothly, you need to avoid making these big mistakes. They could shorten your computer's lifespan and make your experience frustrating. Read More . If you’ve ever done a clean install of Windows How to Reinstall Windows 10 Without Losing Your Data How to Reinstall Windows 10 Without Losing Your Data Using this option allows you to reinstall Windows without losing the files, personal data and programs you already have on the system. Read More , you’ll know what we’re talking about. Getting rid of all the accumulated junk and starting afresh instantly makes your machine run faster 10 Quick Fixes to Make your Windows Computer Faster 10 Quick Fixes to Make your Windows Computer Faster Advice for speeding up your PC abounds, but not all methods are equal. 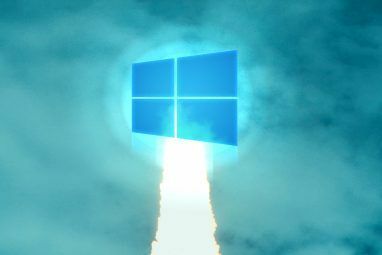 Here are ten quick tips for making your Windows computer a little faster. Read More and smoother. However, you don’t need to take such drastic steps. Spending some time cleaning up Windows can yield almost identical results. 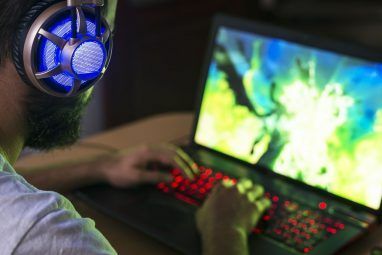 Sure, your five-year-old laptop might never be able to play the latest AAA game, but you’ll still see vast improvements. Here’s the ultimate checklist for cleaning your Windows computer. Let’s begin with an obvious one. The first step on the road to a clean computer is removing all the old software you no longer use. If you’re not a “diligent deleter,” you’ll be amazed at how much unnecessary stuff you have installed on your machine. To see all the apps on your computer, go to Start > Settings > Apps > Apps and features. Scroll down the list and click Uninstall on anything you don’t need. Clearly, you need to exercise a touch of caution. Don’t just get rid of stuff you don’t recognize — run a Google search first to ensure it’s safe to delete! Next, you should run your antivirus software The 10 Best Free Antivirus Software The 10 Best Free Antivirus Software No matter what computer you're using, you need antivirus protection. Here are the best free antivirus tools you can use. Read More . One of the most common causes of slow computers is viruses. The precise instructions for running the scan vary from app to app, but you should try and locate an option called Full Scan, Deep Scan, or something similar. The scan will take much longer to complete, but you can be sure it won’t overlook anything. It’s also worth downloading the free version of Malwarebytes. Rather than focusing on viruses, its primary goal is protecting users against the latest trojans, backdoors, adware, and spyware. Windows 10 offers a Disk Cleanup tool. 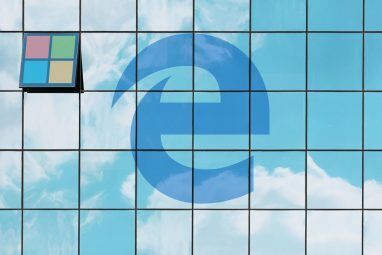 It’s been part of the Windows operating system for many years, and it’s still just as effective at cleaning unnecessary files and improving performance. To run Disk Cleanup, either type the app’s name in the Start Menu or go to Control Panel > Administrative Tools > Disk Cleanup. Before running the scan, click Clean up system files. It allows the app to run a more thorough scan by checking for old Windows Update files and log files. Generally, you can delete all the files the scan finds. Mark the checkbox next to each type of result and click OK. Note, however, that when you choose to clean up Previous Windows installation(s) using the Clean up system files option, you won’t be able to roll back to the previous Windows version Free Up Disk Space by Removing Windows.old Folder Free Up Disk Space by Removing Windows.old Folder Windows prepares an automatic backup before you re-install. The Windows.old folder includes user profiles and personal files. Here's how to restore the data and remove the folder to free up space. Read More anymore. In Windows 10, the operating system runs disk defragmentation when it senses it is required. However, as we’re doing a thorough clean of your computer, it would be remiss not to run it manually. You can find the Defragment and Optimize Drives tool by running a search or by going to Control Panel > Administrative Tools. To use the app, highlight your primary hard drive and click Optimize in the lower right-hand corner of the window. Windows retains old drivers. The logic behind the retention is sound: you’ll never be stuck if a new driver doesn’t perform as expected. The offshoot, however, is that your machine might be full of drivers from devices that you stopped using years ago. There are two easy ways to remove old drivers from your computer: the command prompt or environment variables. For more information about the specifics, check out our in-depth guide How to Easily Remove Old Drivers From Windows How to Easily Remove Old Drivers From Windows Not only does Windows retain previous driver versions for current devices, it also stores drivers for devices you stopped using long ago. We'll show you how to clean up old drivers from your system. Read More . Any seasoned Windows user knows that the operating system lags way behind macOS, Chrome OS, and Linux when it comes to boot times 6 Tips to Fix Slow Boot Times in Windows 10 6 Tips to Fix Slow Boot Times in Windows 10 If your Windows 10 boot time is slow, you aren't alone. We've compiled the most common solutions to help you fix this issue fast. Read More . Typically, the problem is caused by the number of programs Windows tries to launch when it first starts. The majority of them are unnecessary. To clean your startup list, press Ctrl + Alt + Delete and select Task Manager. On the new window, click More Details, then choose the Startup tab at the top of the screen. You should now be looking at all the apps Windows tries to run at boot. To disable an app, highlight the appropriate row and click Disable. When you uninstall an app, you’ll often find remnants of its former presence dotted around your machine. One of the most common locations is the AppData folder. By default, the folder is hidden. You can find it at C:\Users\[Username]\AppData or by typing %AppData% into Windows search. Within the main folder, there are three subfolders: Local, LocalLow, and Roaming. Make sure you go through all three folders to find any traces of old software. Again, don’t delete anything unless you’re sure it’s safe. To prevent these remnants from being left by any apps you delete in the future; you can use a dedicated uninstaller tool. One of the best is Geek Uninstaller. The app is so good, it’s one of our “must-have” free maintenance tools Top 5 Free Computer Maintenance Tools You Should Know About Top 5 Free Computer Maintenance Tools You Should Know About Treat your computer right and it will stay fast and responsive for many years. But neglect proper maintenance and your system will suffer. So where do you begin? With the five apps we recommend here. Read More . The other place you’ll often find trace elements of old apps’ files is in the Program Files folders. On most machines, there are two Program Files folders. You can find them at C:\Program Files and C:\Program Files (x86). As with the AppData folder, work through the contents of each folder carefully and delete any files and folders that are no longer in use. You’ve probably heard horror stories about registry cleaners. Even the best-in-class, CCleaner, has a less-than-subtle approach to clearing your registry junk Top 5 Freeware Registry Cleaners That Improve PC Performance Top 5 Freeware Registry Cleaners That Improve PC Performance Cleaning the registry will rarely improve Windows performance and it's risky. Yet many swear by registry cleaners. You too? At least use one of these tools because they're the safest you will find. Read More . But it is essential to keep your registry reasonably tidy. Think of it as a library: the bigger the library, the longer it takes you to find what you’re looking for. Similarly, the more junk in your registry, the longer it takes Windows to locate the entries it needs. Why not take matters into your own hands? It’s easier than it sounds. Run a search for regedit and press Enter. Then, go to Computer\HKEY_LOCAL_MACHINE\SOFTWARE and Computer\HKEY_CURRENT_USER\Software. Within each folder, slowly work through the list and delete entries for software you no longer use. Warning: Deleting the wrong registry entry can have grave consequences for your system. Ensure you make a complete backup of your registry data How to Back Up and Restore the Windows Registry How to Back Up and Restore the Windows Registry Editing the Registry unlocks some cool tweaks, but can be dangerous. Here's how to back up the Registry before making changes so they're easily reversed. Read More before proceeding. Windows 10 is full of caches. Without getting too bogged down in technical jargon, a cache is a non-permanent file that Windows might need again in the future. But what if Windows doesn’t need it again? You’ve got all those files lying around cluttering up your hard drive. In an article elsewhere on the site, we’ve introduced you to several hidden caches 7 Hidden Windows Caches & How to Clear Them 7 Hidden Windows Caches & How to Clear Them Cached files can take up a lot of bytes. While dedicated tools can help you free up disk space, they might not clear it all. We show you how to manually release storage space. Read More and explained how you can clean each one individually. Working through all seven will take a while, but it’s time well spent. In this article, we’ve introduced you to 10 crucial steps if you want to give your operating system a spring clean. By processing all 10, you’re guaranteed to see a performance boost. How do you prevent clutter from accumulating on your hard drive? Do you use any unique apps or tools? What other tricks would you add to this list? Share this article with your followers on social media. Explore more about: Antivirus, Computer Maintenance, Defragmentation, Drivers, Registry Cleaner, Windows 10, Windows Task Manager. One step: I cleaned Windows off it once and now run Linux Mint. Those of us on Windows 10 will benefit from the 6-month upgrade if you are wise enough to do a clean install; Bingo! New computer, this makes your list all but redundant, Most modern PC's will have at least 4 GB of RAM be 64bit and now SSD's are cheap enough, you'll have snappy machine, sure go through the startup list you'll have to re-install the programs you want, but that's it! Do Not Defragment Solid State Drives (SSDs). Hard Disk Drives (HDDs) benefit from defragging. SSDs are harmed by defragging. With HDDs merging fragments of files allows them to be read more quickly because they are accessed by physically moving a read/write head to a position on a spinning disk. SSDs directly access locations electronically and merging fragments has no effect on speed - defragging, if you could do it, will take time and produce no benefit. Plus, you (i.e. your computer) can't do it because the SSD itself decides where to write each bit of data and it doesn't care if the bits are 'next to' each other. BUT the problem is that an SSD's life is degraded each time you write to it. The SSD is designed to work around this by marking specific locations as unusable. Commanding it to rewrite all your data fragments will speed the degradation. While modern SSDs are less prone to this than older SSDs, it makes sense not too stress any SSDs by defragging. thanks for the detailed article. Your tips are really good to create more space. Especially the AppData folder can grow quite a lot. But besides point "6. Refresh Your Startup List", the Computer will not get faster, with ANY of the mentioned points. So your sentence: "Over time, computers slow down. Of course aging hardware plays a part, but for most people, a more common cause is poor operating system maintenance." , is not correct. The Registry and the Hard drive isn't a " relational database". It has a hierarchically structure. It doesn't matter if you have a 10 KB or a 10 GB big Registry. Every action will be done in exact the same time. Only the first load time to the RAM will take longer... But with every register cleaner, you might get a few KB, which will have near to no effect.. Still, if you need more space, the tips are fine. But not to get more speed. Wrong on a couple of points: Defragmenting a spinning HD can improve things quite a bit, especially if your PC doesn't have idle time to do it as scheduled maintenance. Removing unnecessary "temp" (junk) files can speed up access, especially if your drive is nearing full (if an NTFS volume reaches around 85% full, access will get slower for some reason). About the Registry: "It has a hierarchically structure." Um, no, the word is "hierarchical," and having broken entries is kinda bad. I've had absolutely NO problem with CCleaner; cleaning the Registry may have little affect...but I've yet to see any harm. I agree!!! From what I have been told, the reasons ALL hard drives slow down as you fill them too full is because it takes longer to get to the file physically. When there are many other files the computer may need to cross check to make sure its has the right file. At the end of the day Hard Drives are physical objects that have to bow to the laws of physic. Think of it like a coat room. As people come in dropping off coats to you there no problems as long as you don't run out of room. But as the room fills with coats, you'll have less room to move and you have to check and double check to make sure you dont give away someone elses coat in a room full of probably very similar colored and styled coats (computer talk in binary which is 1's and 0's that's it. When looking at 2 familiar files with 1's and 0's, a 0 in a different place is totally different file). It will take longer and longer to go to and quickly find the correct coat. If there were lets say half the room filled it would be easier and faster to access coats to give back to the owners! Hopefully Quantum computers will fix this problem! Actually, it's not because the drive is full or you have to "look harder" or "make sure you're not giving out the wrong file," but because the MFT (the NTFS Master File Table) may become fragmented. There's never a chance of "giving out the wrong coat" because EVERY file is logged in the MFT, as well as all of the unused space. But a bug in (older versions?) of NTFS may slow down access if the drive is over 85% full.